Next week for gamers is the calm before the storm, the storm being E3 2016 when all the major players in the game industry come out with their big guns to show up what games, hardware and potential console upgrades we’ll be getting in our hands in both the near and distant future. Given that a lot of the big game announcements will be held for E3, that is if they don’t get leaked before hand, this is a time when people like to make predictions about what they both think will show up, and what they also hope will show up. Just five days ago now, the news hit from Gameblog.fr that has since appeared on many other sites that the next game from Netherrealm Studios will be a follow-up to 2013’s elseworlds fighting game, Injustice: Gods Among Us. Since then Ed Boon of Netherrealm has changed his Twitter picture to a roman numeral “II” which he is teasing us by saying that it could be a leak for Mortal Kombat 11. Injustice is an excellent fighting game and also one of the best DC Comics games ever released and as the first game followed-up the similarly excellent Mortal Kombat reboot, it would be fair to speculate that Injustice 2 would come hot off the heels of Mortal Kombat X. If there’s anything that’s popped up on the internet lately that I hope is true, it’s this. Late in April, the Nerdleaks Twitter account became active once again with news that Sony is producing something Spider-Man related for the PS4. This was backed up by the resume of a performer by the name Stephen Oyoung who had the project listed on his resume along with other motion capture credits. Another piece of the puzzle for this story that is less substantiated is that Sucker Punch, the studio behind two of my favourite franchises and some of my favorite games of all time: Sly Cooper and Infamous, could be the creative force behind the project. Had this news come any other year, I would call it wishful thinking but now I strongly believe that there’s reason to get excited about this being true: Marvel and Sony are playing nice with the Spider-Man film rights; Disney, who owns Marvel, has closed their interactive division and are now focusing on licensing out their IP’s to other studios and we haven’t heard anything out of Sucker Punch since the release of Infamous: Second Son and its downloadable expansion, First Light, both of which came out in 2014. Given Sucker Punch’s pedigree on both super hero and open-world games, I can’t think of anyone better to give us the Spider-Man game that could potentially dethrone the Arkham games as the most faithful and beloved comic book game of all time. Telltale is one of the busiest studios in the business today, and we know of at least three high-profile comic book properties they’re working on, two of which we’ll probably see this year. 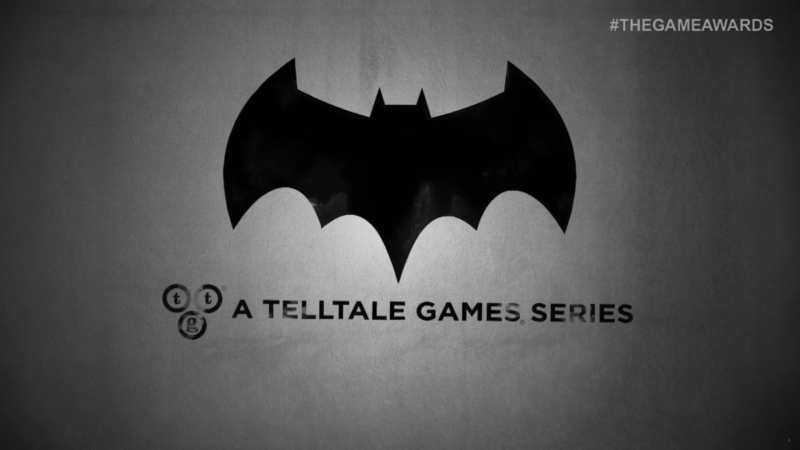 During a SXSW panel hosted by Kinda Funny’s Greg Miller in March, key team members from Telltale revealed that the Batman series they announced during the game awards in late 2015 would get its season premiere in this summer. As we haven’t seen anything from the game other than concept art, I can’t think of a better time than E3 for us to finally get a look at what Telltale’s Batman looks like. As DC just relaunched their entire line with of comics that just so happens to feature Batman in a new Bat-suit, perhaps the reveal was being held off as the two could maybe share similar assets and be set in the same relaunched DCU. If Batman is coming in the summer, a great series to make a premiere in the fall would be The Walking Dead. Only two years have passed since Season Two concluded in 2014 but according to series creator Robert Kirkman, we’ll be getting a much older and experienced Clem whenever Season Three starts up. I was lukewarm on The Walking Dead after the conclusion of the second season, but after the incredible Michonne series that arrived this year, my desire to jump back into that universe has been greatly reinvigorated, which I feel is the same for Telltale who got to take a break from the franchise while they worked on Borderlands, Minecraft and Game of Thrones. In spring last year Telltale announced that they would be producing a series based on a Marvel comics property that would start rolling out in 2017. As we haven’t even seen what Batman looks like, I wouldn’t expect any graphical assets for the Marvel project to make an appearance, but at the very least it would be nice get an idea of what property they’re working on. Disney Infinity is sadly no more; Skylanders has shown their hand and now it’s time for the rookie in the ring to show us what they have in store for 2016 and beyond. So far the only characters we know that are coming post the last wave of fun packs that launched in May are the bizarre Green Arrow and Supergirl limited edition figures that have started actually showing up in the hands of consumers. The Lego Dimensions Twitter account has been active lately teasing that we can expect new worlds and characters that we’ll hopefully hear about the week before or during E3. Now that Disney is out of the toys-to-life game and have started licensing their properties, it would be mind-blowing to see Disney, Pixar, Star Wars and Marvel characters to show up, though I think they’ll be held for a bit while they focus on properties like Harry Potter, whether from the core seven books and films or the upcoming Fantastic Beasts spin-off set to arrive later this year. #June2016 is here! What new worlds will you unlock this month? Like Sucker Punch, we haven’t heard from WB Games Montreal in some time. After the better than fans give it credit for Batman: Arkham Origins, the only output we’ve gotten from the studio has been the Batgirl DLC for Batman: Arkham Knight. A job posting from late last year revealed that the studio is ramping up for not one, but two projects set in the DC Universe which could mean that since Rocksteady has concluded their take on the Batman franchise, they could be the ones charged with rebooting DC’s most treasured franchise. Though I’ll believe it when I see it, it could also be that Batman could be put on the back-burner while other DC heroes get the spotlight. We haven’t heard from Superman since 2006’s Superman Returns and there’s also a big budget Justice League movie in the works. It would be a huge win for DC if they could product a big-budget, AAA Justice League game before Marvel releases an Avengers game on something other than a phone or tablet. Great article. To be honest, I’d be VERY surprised if we got zero comic book game announcements at E3 this year. I’m most excited about the Spider-Man project, and it’s gonna be a looooong year if a Sucker Punch-developed Spidey game is announced for 2017. About WB Games Montreal, I think you should take a look at this rumor that popped up yesterday. It mentions a Suicide Squad game and a Batman game with Damian Wayne donning the cape and cowl. That’s pretty interesting and I think I believe maybe half of it. The Suicide Squad game has long since been rumoured and really hinted at in Batman: Arkham Origins as well as Blackgate. The Damian Wayne thing sounds cool but less likely. I don’t think WB Games would produce a big budget Batman game that doesn’t have Bruce Wayne in the lead, especially how quickly they rushed him back into the suit after Superheavy before Rebirth and with BVS and the solo Batman movie in the works. It sounds like if they went with Damian then it could be the sequel to Arkham Knight, but they’ve exhausted all of the villains, though I guess they could go with there’s three Joker’s like they’re trying to do in the new continuity.